Itinerary for Days 1 to 3 according to the brochure. I woke up at some godforsaken time on the morning of Sunday 25th June 2006 and in my excitement phoned Pauline to check that she was awake. Needless to say, she did not appreciate the 6:30am phone call! But hey...if I was up there was no reason that she and Vickie should still be sleeping! 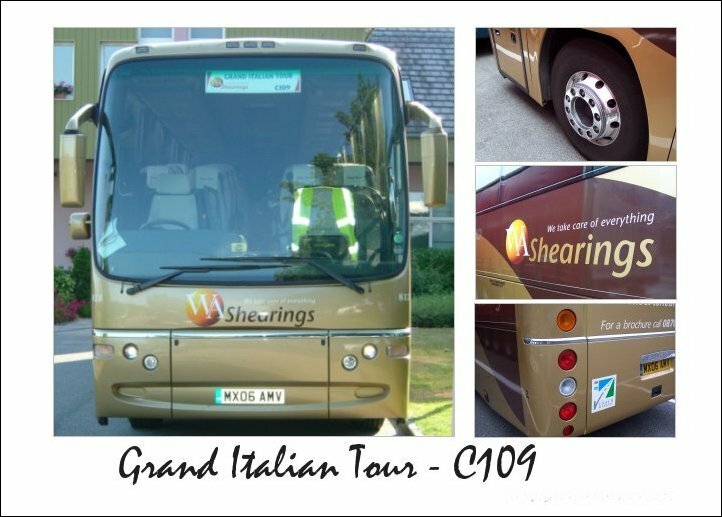 We met outside Stafford train station and were picked up by a Shearings coach that proceeded to pick up other passengers from other towns. Pauline had to give directions to the driver about the location of Bloxwich. 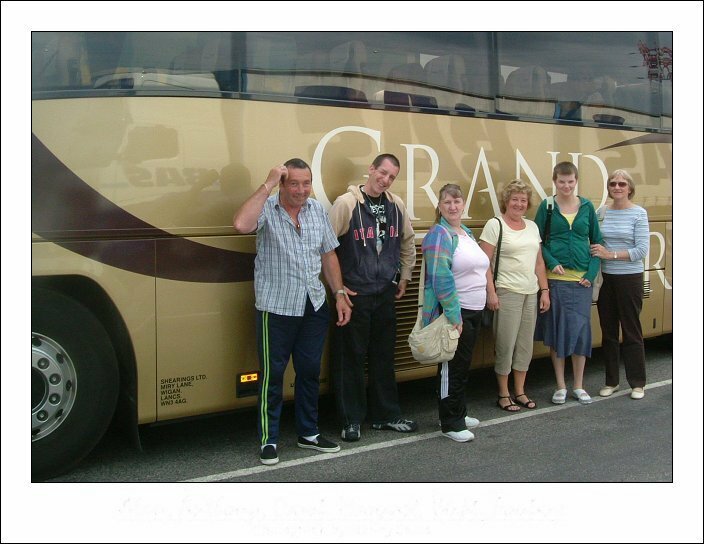 The bus took us to Exhall Interchange, near Coventry, where our luggage was transferred to the Grand Tourer Coach, which was to be our transport for the next two weeks. Although at this point we had not formally introduced ourselves to our travelling companions it seems a good point to list them all. 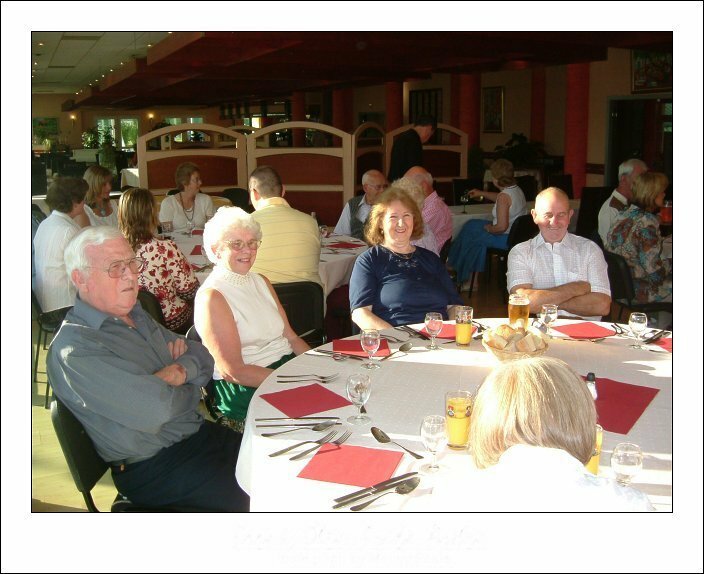 Gordon, Frank, Olive, Alice, Terry, Carol, Ivan, George, Ann, Freda, Arthur, Alan, Eileen, Irene, Lucy, Phil, Steve, Carol, Alan, Anthony, Roger, Margaret, Louise, Paul, Len (driver) - not forgetting Wendy, Vickie and Pauline of course. We made an uneventful ferry crossing from Calais to Dover and learned that the driver's name was Len. 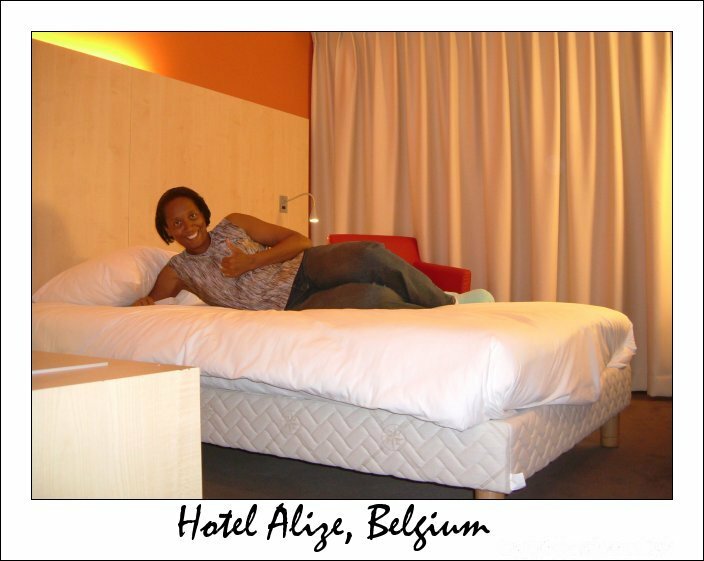 Once in Calais we listened to the England World Cup match (Beckham scored in case anyone gives a fig) and drove to our hotel, in Mouscron, Belgium. 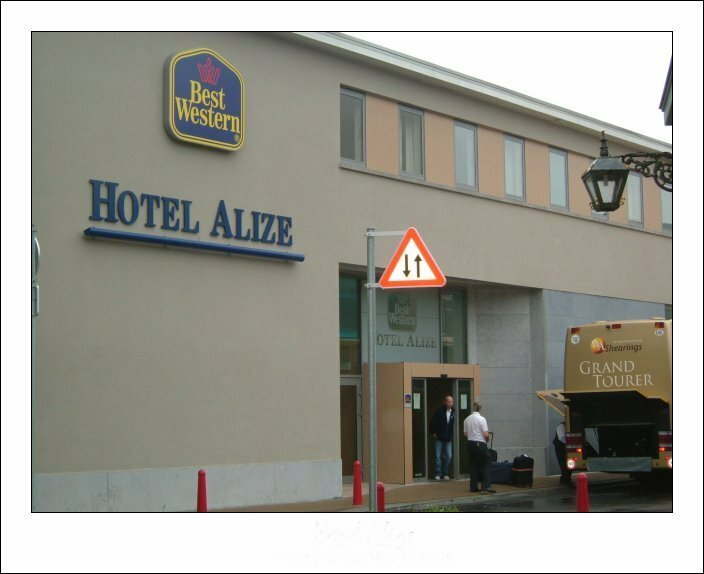 [Hotel Alizé Passage St. Pierre 34, 7700 Mouscron, Belgium]. The hotel was quiet and the staff helpful. 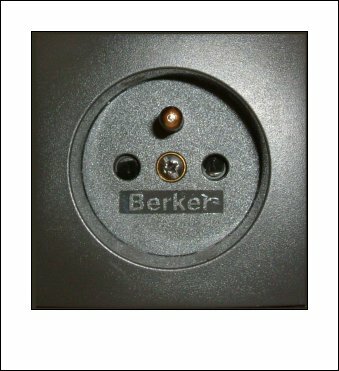 More importantly perhaps, I had brought the correct adapter for the sockets here! 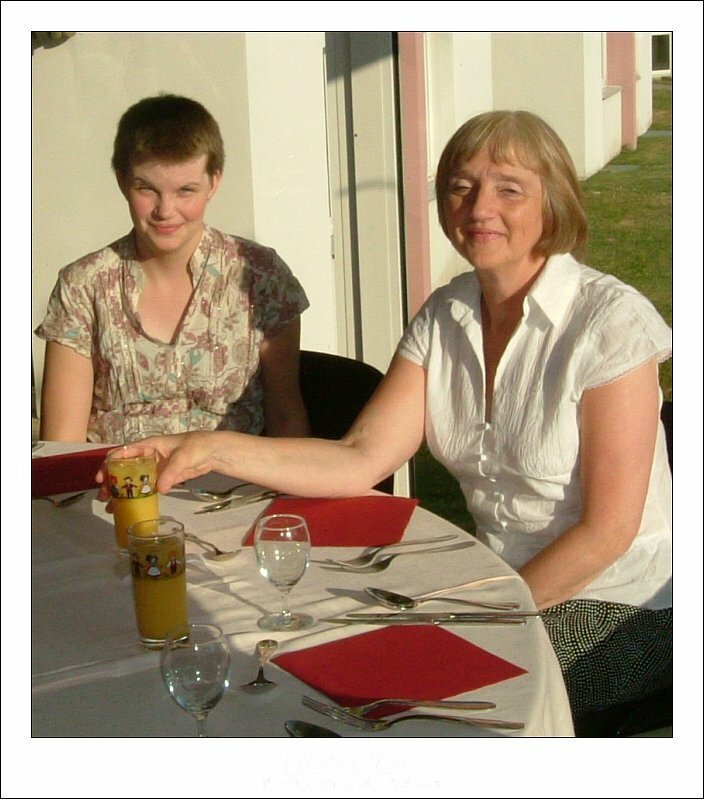 However as we arrived quite late we were eating our evening meal at 10:30pm - not ideal! 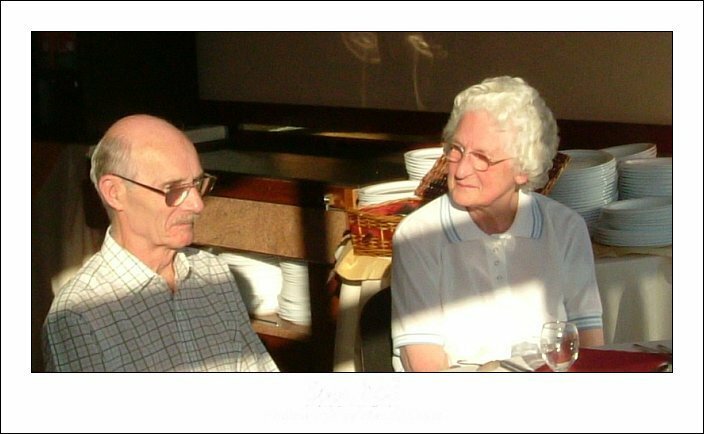 We formally met Roger and Margaret as we ate our heavily spiced mash potato! I fell into my own bed at midnight and allowed CNN to lull me to sleep. I woke up at 2:30am, 3:30am and then finally at 5:30am ... all in anticipation of a 6:00am wakeup call. Breakfast was at 7:30 with cases placed outside the room at the same time. 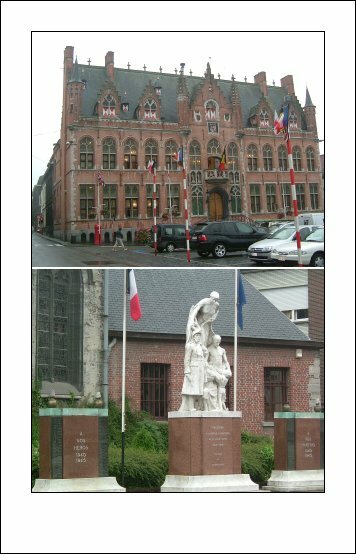 I actually managed to walk around Mouscron and viewed the town hall, war memorial, church and a few shops. The weather was miserable, but not cold. 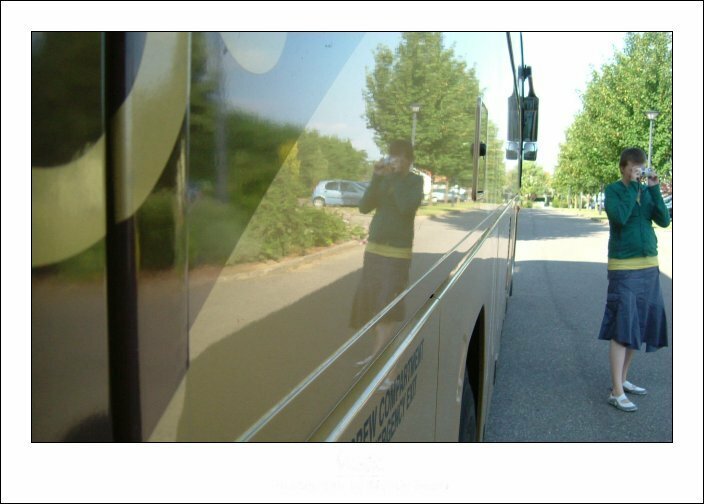 The coach crossed the border into France taking the E17 through Northern France in the direction of Lille. We drove past the Somme Valley (A1 - A26) stopping in Reims for a meal at Autogrille Reims. Pauline decided to argue with a French woman about the cost of chocolates. We continued past Metz, over the River Moselle, past Alsass and Bussang. 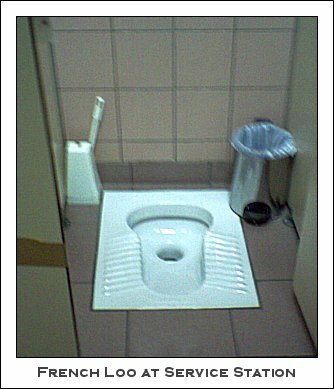 We stopped off at yet another service station where I took a picture of a floor based toilet with my mobile phone. I confess that I thought it was for the cleaners to wash out their mops. We arrived tired at the Elsass Club Hotel Bollwiller. My room was musty but had an exceptional view and a swimming pool. The evening meal was interesting...very dry turkey I'm afraid. However the staff were fun. We got to learn the names of 6 other members travelling with us - Frank, Olive, Frida, Arthur, Stephen and Phil. We had some fun with a waiter, kicked about a football, watched the sun set and went to bed. We had a very nice continental breakfast (if that's not an oxymoron) and the coach took us into Switzerland where it rained. 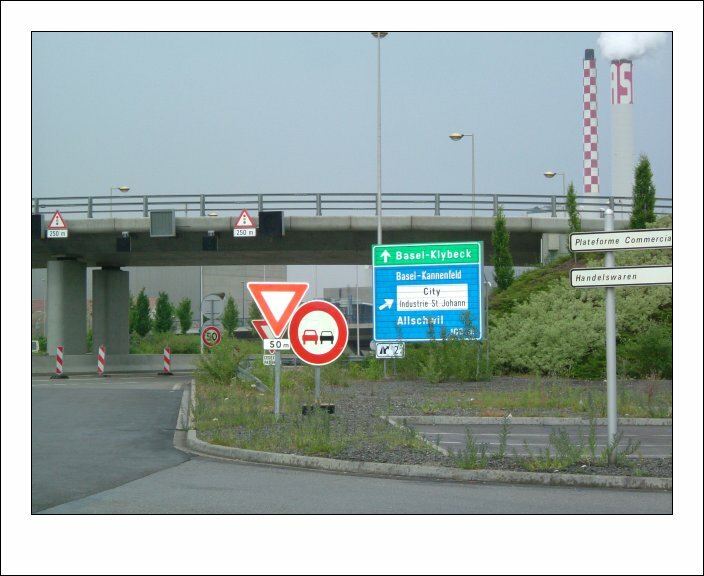 The Swiss border was very unremarkable. I suppose I had been watching too many second world war films where people are desperate to escape occupied countries. I expected gun turrets. What I got were a few men in uniform and some bollards. We formally introduced ourselves to Lucy and Irene Chester. The coach took us towards Bahl but instead of going through the Gotthard Tunnel - which was closed - we drove to Zurich, over the Rhine. 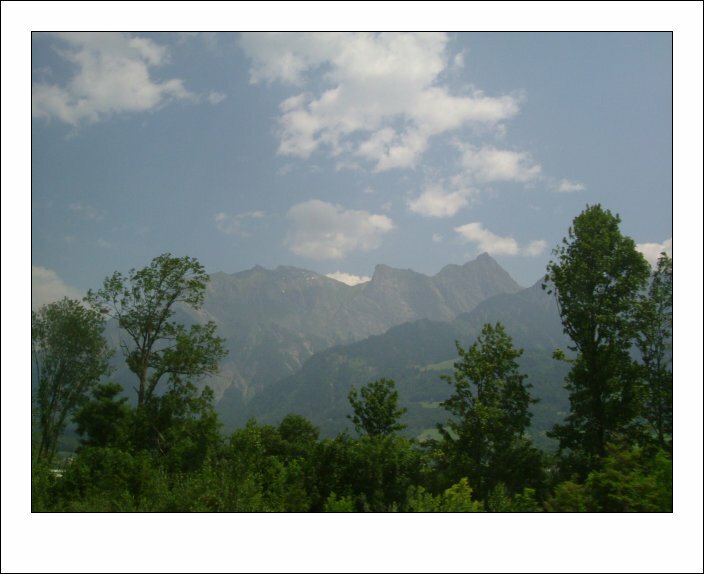 We continued on toward Kor, through the San Bernadino Tunnel to the north of Bellinzona. We formally met three more of the group - Carol, Alan and Anthony. Pauline informed us that the driver was not getting much sleep. We didn't pry further. 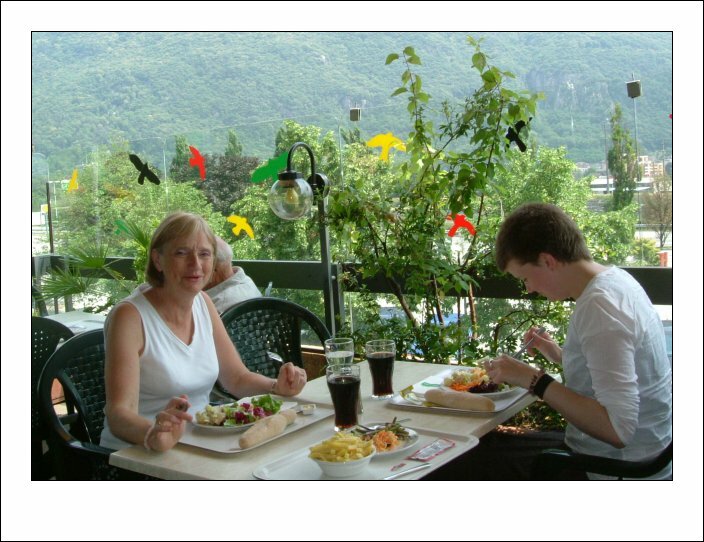 We had something to eat at a service station at Bellinzona.... a nice plate of chips for me and an over-priced salad for Pauline and Vickie, on a table with hovering birds. Yuk! 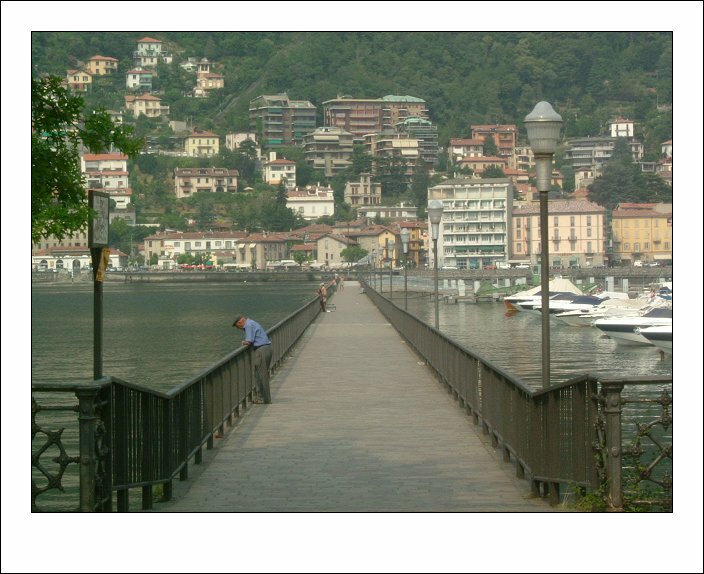 We drove past Lake Maggiore and onto the Italian border to Como. 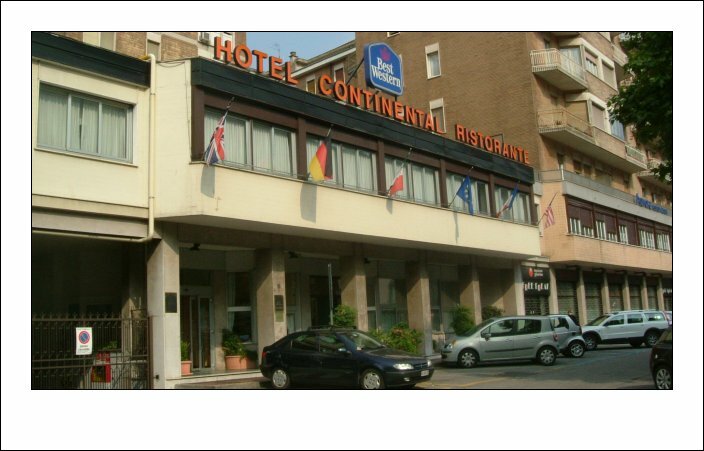 We arrived at the Hotel Continental. Ok this is my first complaint about a hotel. I was given a 'very' small room. In addition I could hear conversations in the next room. Typical. 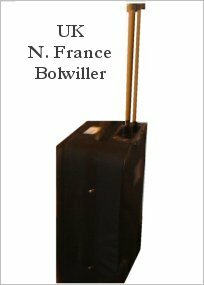 Stick the single traveller in any old broom cupboard! Why do some hotels give single travellers rubbish when we have to pay more than people travelling together!!?? We took a walk to the lake with Lucy and Irene on what was a VERY hot day and visited a beautiful catholic school on the way. (Gallio Collegium Comense). Unfortunately we got covered in small black flies in the Piazza Volto, only managing to shake them off on a walk by Lake Como. We walked back to the hotel for a shower and a meal of stewed fish and parfait - No comment! 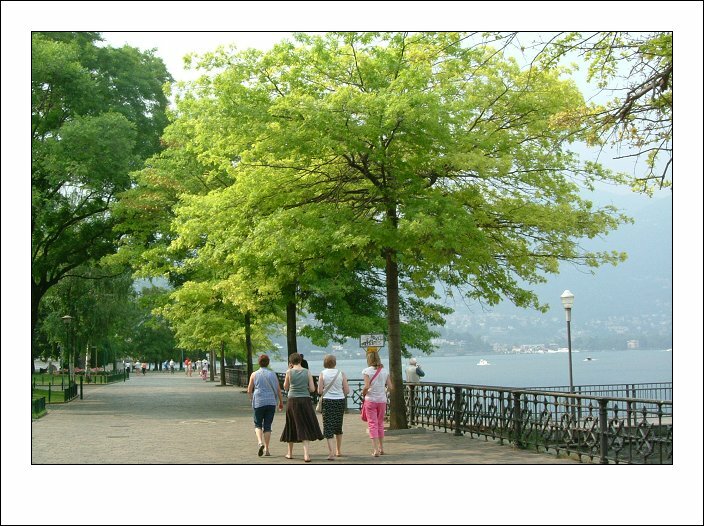 We sat with Lucy and Irene and I managed to practice a few words of Italian before we all took a beautiful evening stroll to Lake Como once more. 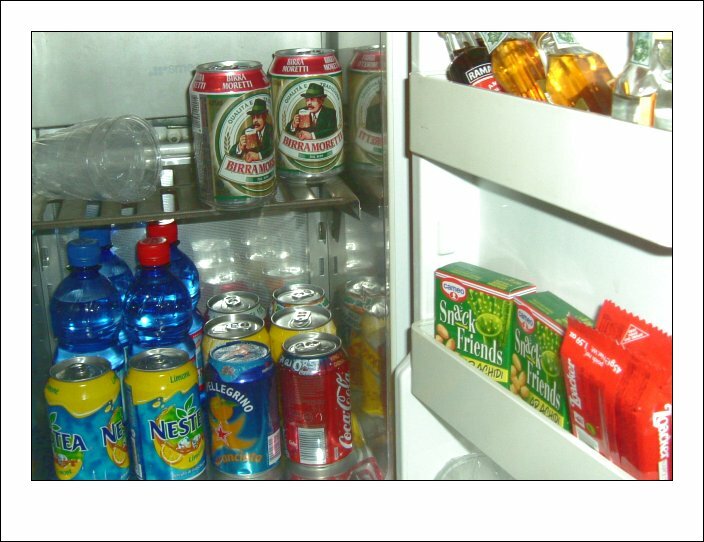 Having trawled through my 'frigobar' I stayed awake that night until 1am which was stupid considering we had a 9am departure time. Fact 2: The Gotthard tunnel is part of the busiest motorway system in Switzerland which serves heavy goods traffic between Germany and Italy. Fact 3: There are four languages spoken in Switzerland - French, Italian, German and Romansh. Fact 4: Switzerland is made up of a confederations of Cantons. Fact 5: Felix and Regula were deserters from the Roman army who became Christians and founded the city of Zurich. Fact 6: The cathedral of Grossmünster was founded by Charlemagne in the 9th Century. 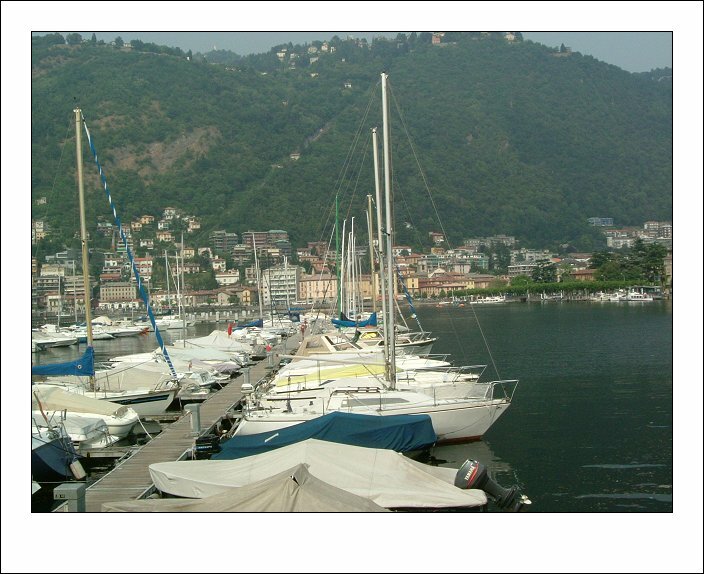 Fact 7: Lake Como is shaped like an upside down 'Y' and is one of the deepest lakes in Europe. 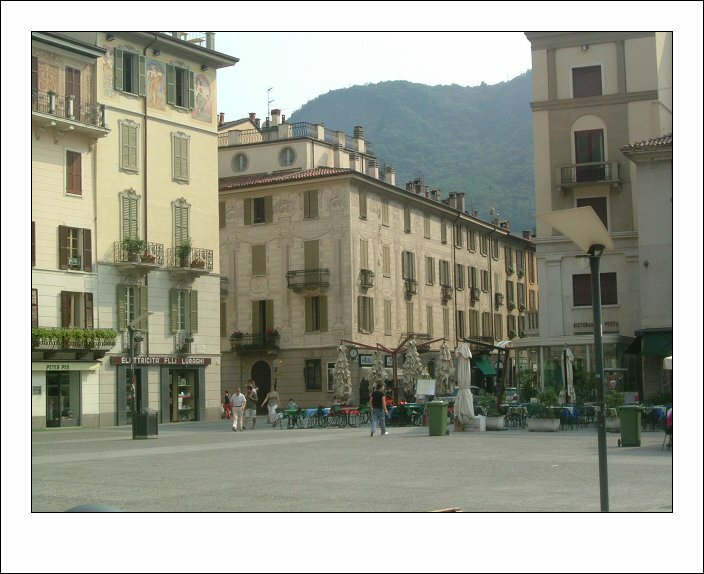 Fact 8: Piazza Volto in Como was named after Alessandro Volta, an Italian physicist born in Como in 1745 and known for his pioneering work in electricity. 01: (link) Pauline and Vicki on the coach. 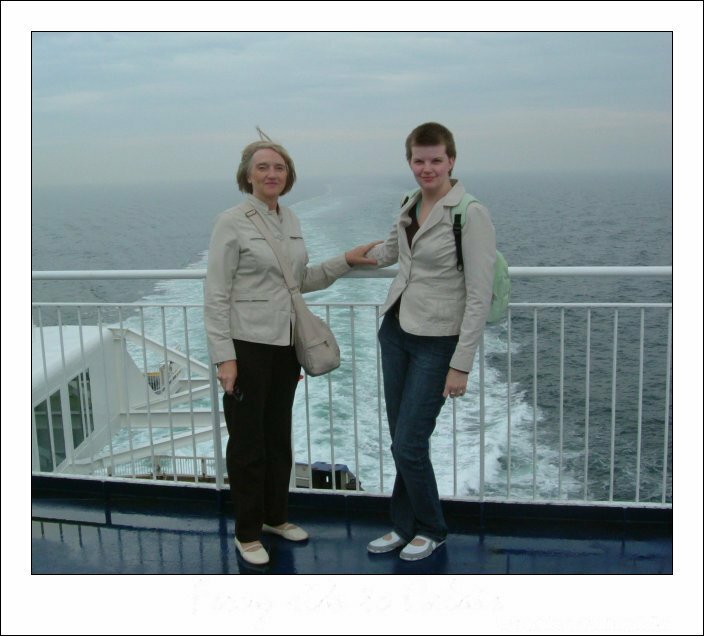 02: (link) Pauline and Vicki on board the ferry. 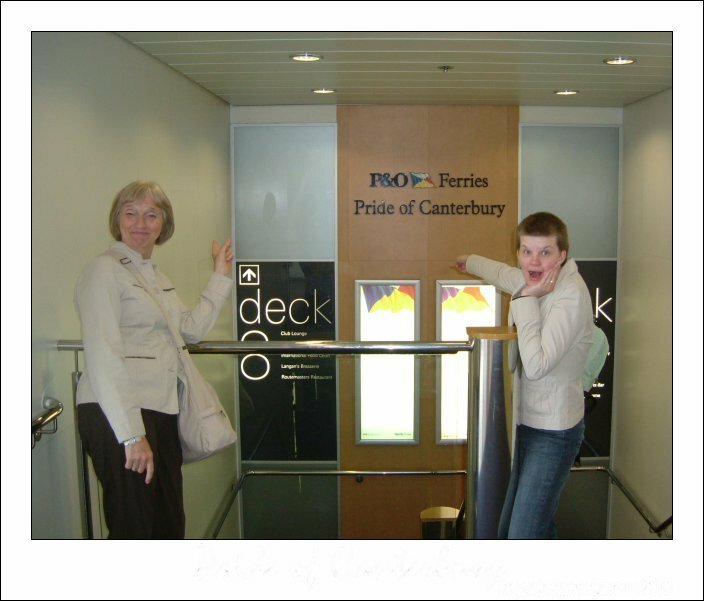 03: (link) Pride of Canterbury ferry. 04: (link) Wendy on bed in hotel. 05: (link) Hotel Alize, Belgium. 06: (link) Alan, Anthony, Carol, Vicki, Pauline. 07: (link) Vicki taking picture. 08: (link) Frank, Olive, Frida, Arthur. 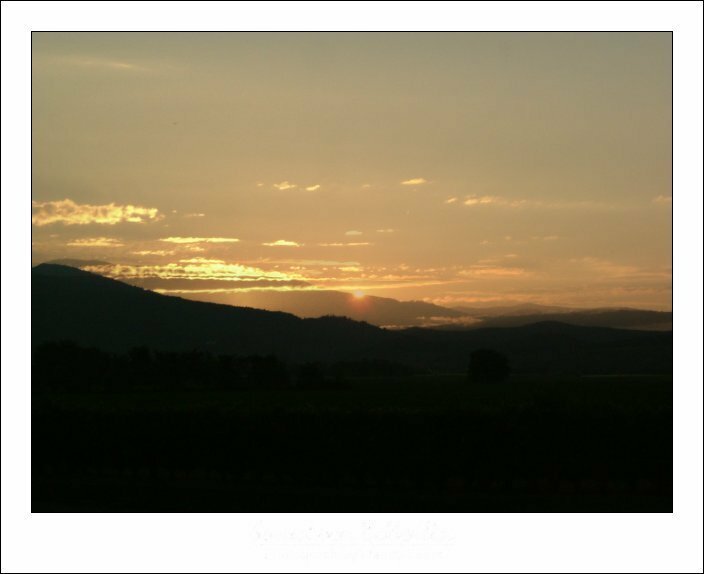 11: (link) Sunset in Bollwiller. 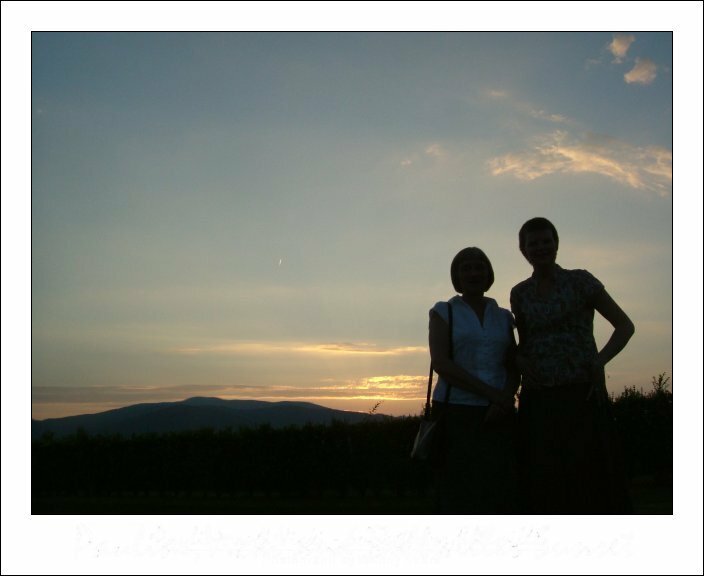 12: (link) Pauline, Vickie - Sunset in Bollwiller. 13: (link) Vicki, Pauline & Waiter. 14: (link) Wendy hugs the waiter. 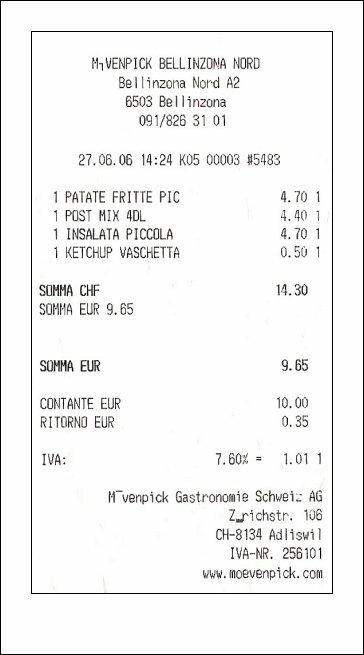 16: (link) Lucy, Irene, Anthony, Alan, Carol, Margaret, Terry at Bellinzona Services..
17: (link) Pauline, Vicki at Bellinzona Services. 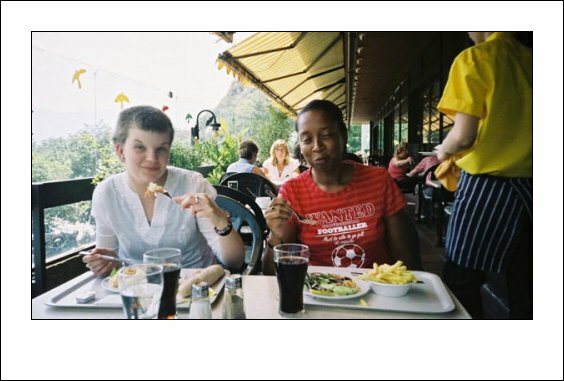 18: (link) Wendy, Vicki at Bellinzona Services. 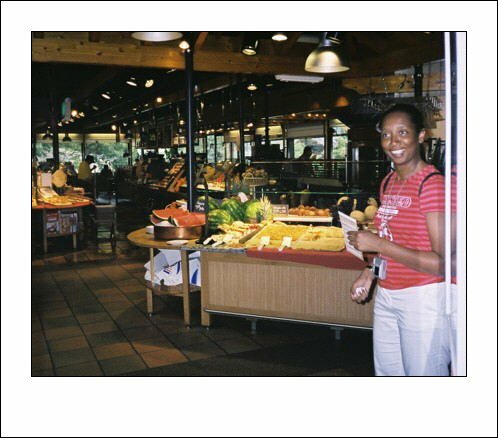 19: (link) Wendy at Bellinzona Services. 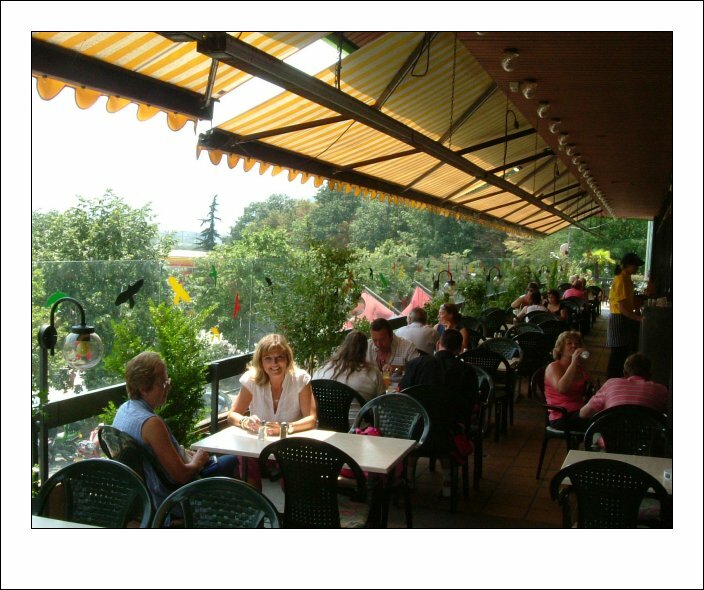 20: (link) Bird on table at Bellinzona Services. 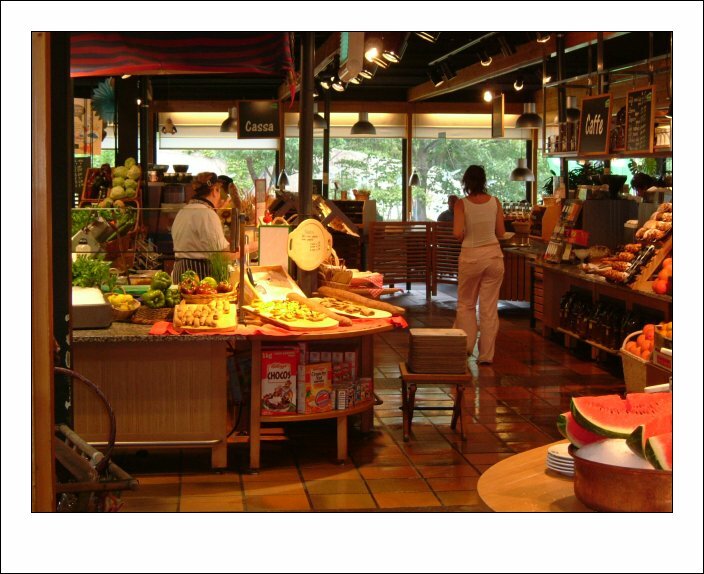 21: (link) Food counter at Bellinzona Services. 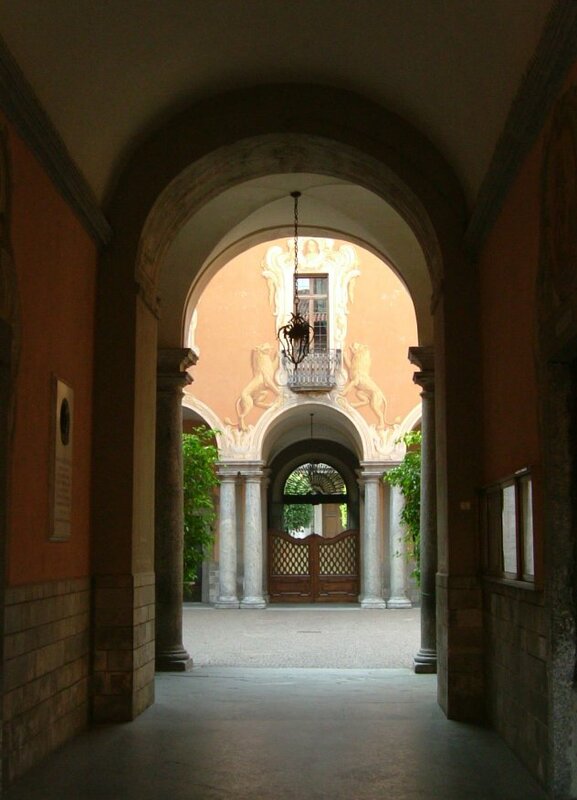 22: (link) Entrance to Gallio Collegium Comense school in Como. 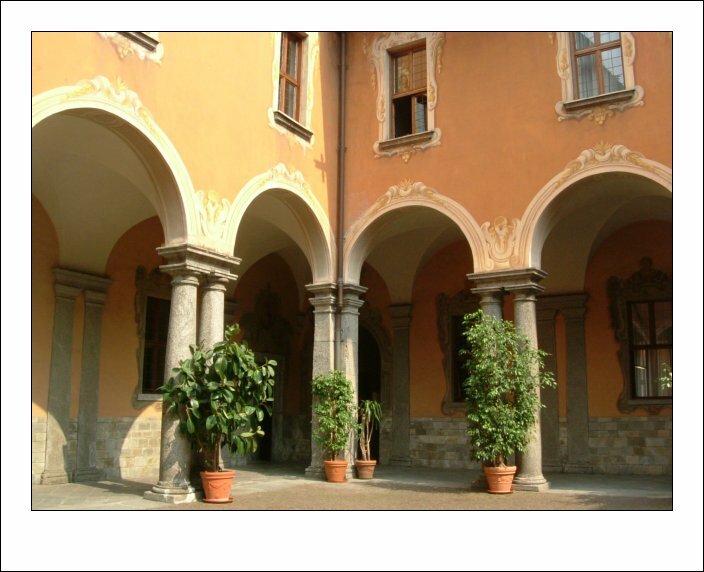 23: (link) Courtyard of Gallio Collegium Comense school in Como. 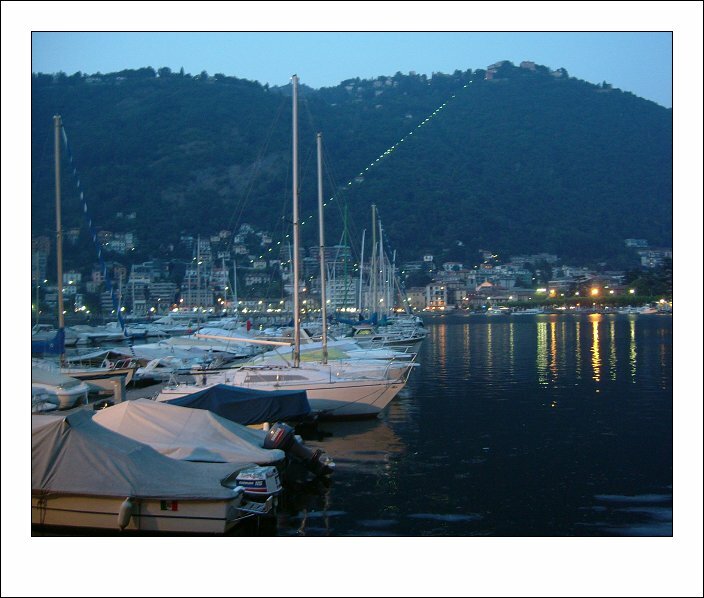 24: (link) Boats on Lake Como. 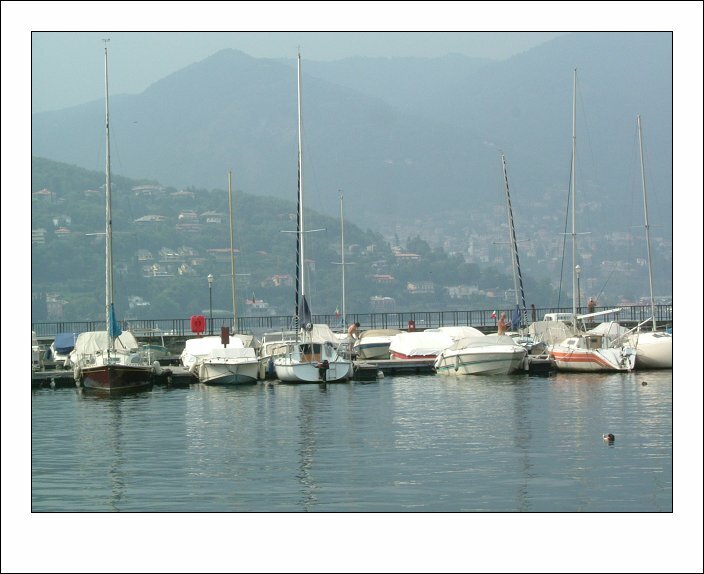 25: (link) More boats on Lake Como. 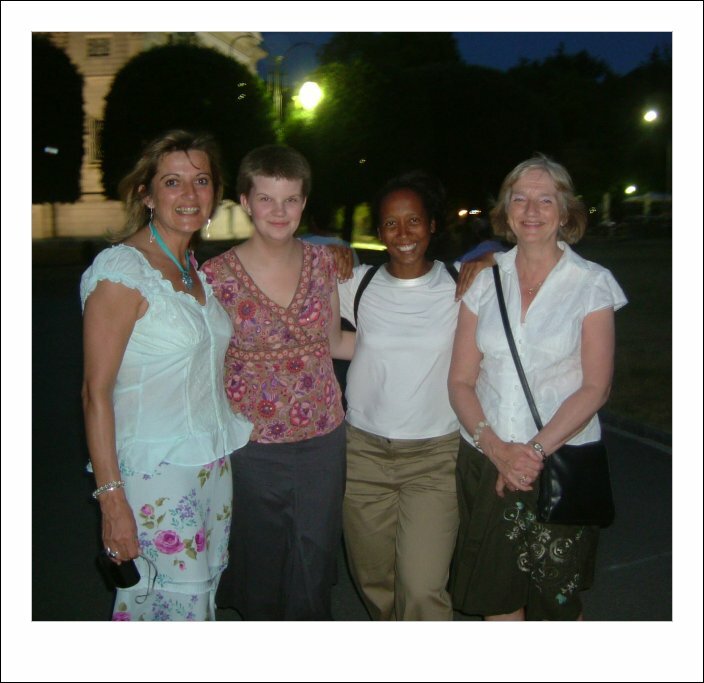 26: (link) Pauline, Vicki, Lucy, Ireen along Lake Como. 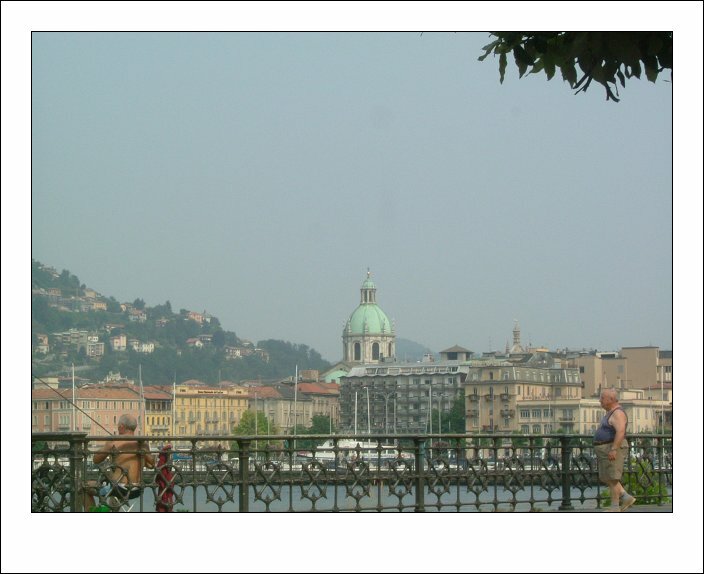 28: (link) Lake Como with cathedral dome in background. 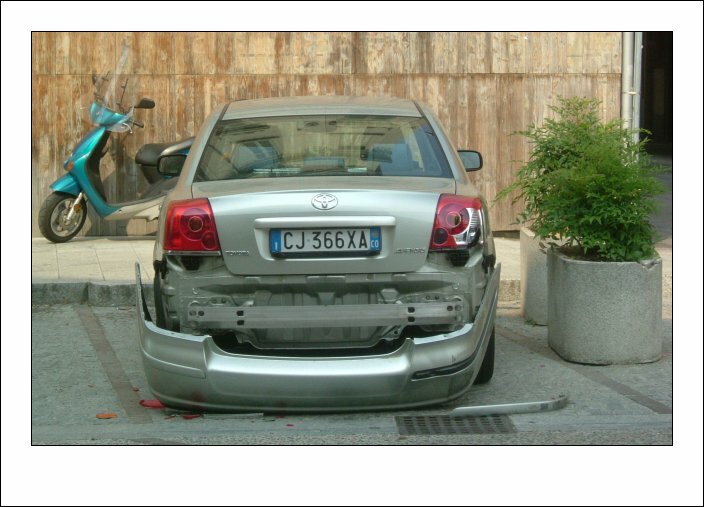 29: (link) Results of Italian driving, Como. 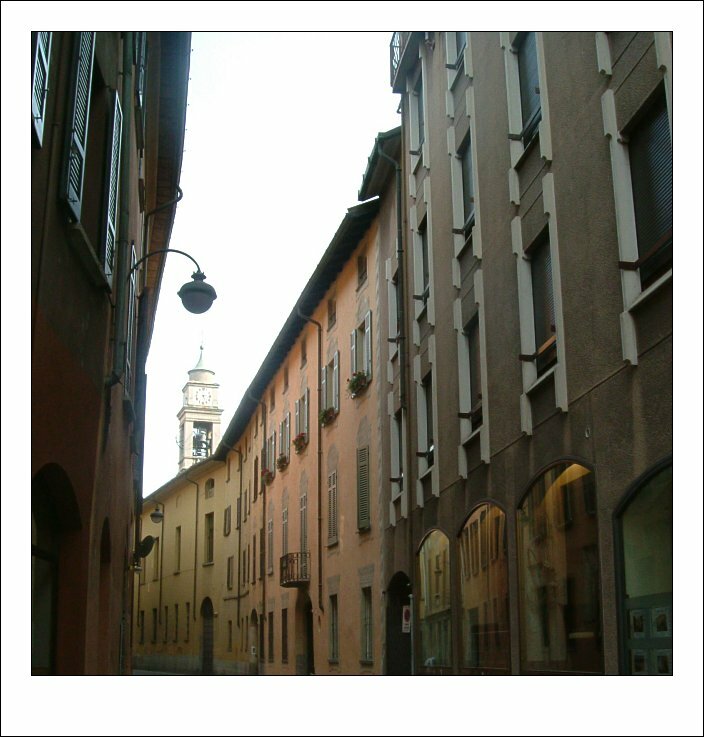 30: (link) Piazza Volto, Como. 31: (link) Hotel Continental, Como. 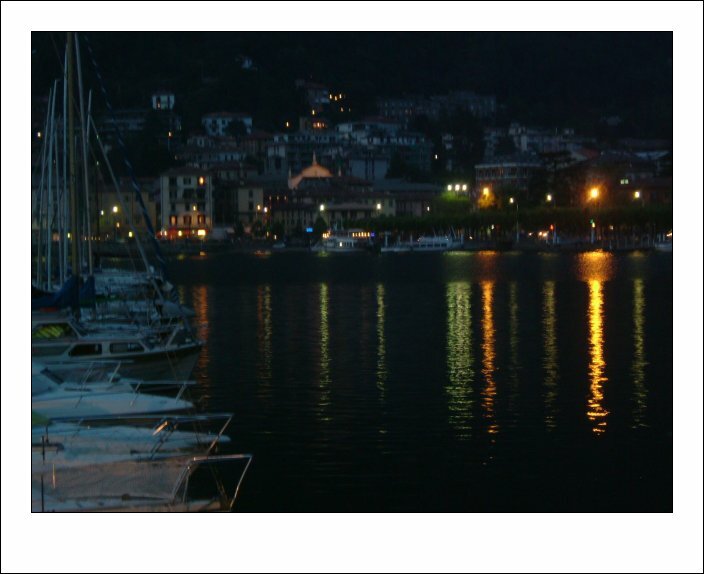 32: (link) Lake Como with reflections at night. 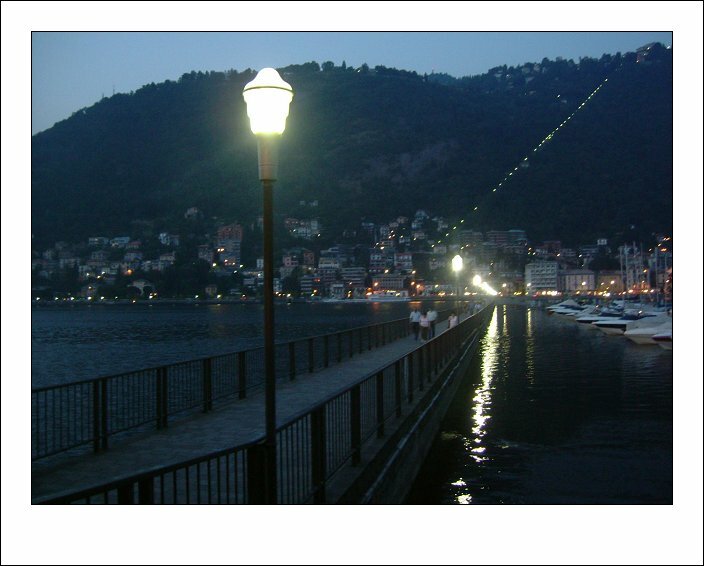 33: (link) Lake Como bridge across the lake at night. 34: (link) Night light on the water. 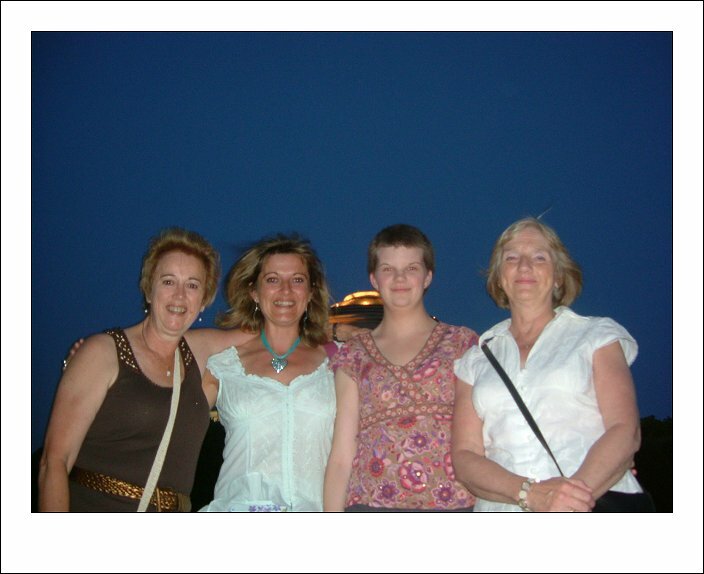 35: (link) Irene, Lucy, Vicki, Pauline in Como night. 36: (link) Irene, Lucy, Vicki, Wendy, Pauline in Como night.